Born out of the gilded belly of Japan’s IT bubble, J@pan Inc had its roots in technology but has now blossomed into a broader business website. J@pan Inc aims to cover issues, trends and controversies across all industries in Japan with a particular focus on foreigners already established here, or those hoping to break into the market. 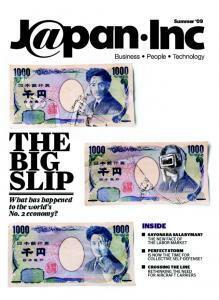 Born with the soul of a business magazine, the Japan Inc website features independently researched features on Japanese companies, high quality pieces tracing the commercial journeys of individual entrepreneurs, plus coverage of a range of other topics pertinent to those with interest in Japan - ranging from politics to real estate, to education. Company Japan Inc Communications K.K. Provides business development consulting services for Small-Medium Enterprises. Market entry consulting and services for foreign multinationals. Web site / Brochure development in English and Japanese. Contact Please use our contact page, especially for matters regarding the website.